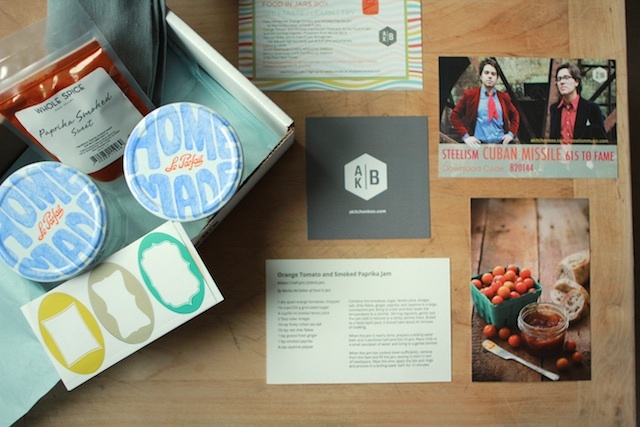 One trend that I’m very much enjoying these days is the rise of the curated subscription box. It used to be that subscriptions were limited to books, magazines, music, and occasionally, cheese. These days, you can sign up to receive all manner of items on monthly or quarterly basis. 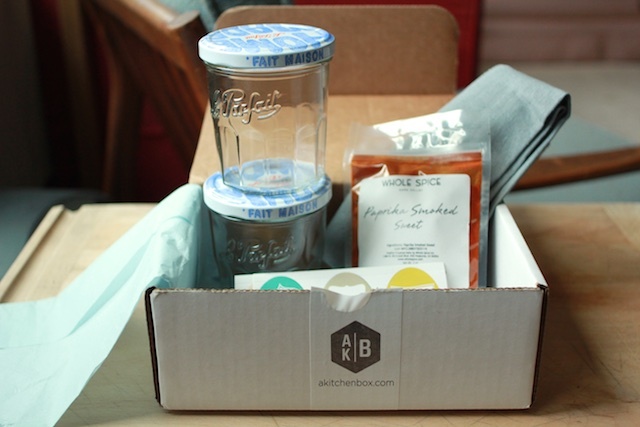 A Kitchen Box is one such subscription box company. They focus on products and recipes designed to inspire you in the kitchen and they make sure to include something to see, taste, learn, and try in every box. Recently, I teamed up with the folks at A Kitchen Box on a Food in Jars-themed box and it turned out even more beautifully than I could have imagined. The box includes a gorgeously printed copy of my recipe for Orange Tomato and Smoked Paprika Jam, a pretty picture postcard of that jam, a packet of Sweet Smoked Paprika from Whole Spice, two Le Parfait 324 ml French Jam Storage Jars (you treat these like any other lug lid jar), canning labels, music downloads, and a grey flour sack towel. They also donate $1 from each purchase to Rogue Valley Orphanage Outreach. Brooke and Ang from A Kitchn Box have offered one of these Food In Jars Box for this week’s giveaway. Additionally, they’re offering all Food in Jars readers $10 off the first month of any new AKB Subscription, along with a free Mini Box (while their limited stash lasts). 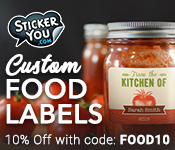 If you want in on the deal, use the code ‘foodinjars’ in the coupon field at check-out. Leave a comment on this post and tell me about either something to which you subscribe, or something you wish you could subscribe to (I once had a subscription to toilet paper through Amazon. It was an amazing way to never run out). Comments will close at 11:59 pm east coast time on Saturday, October 25, 2014. The winner will be chosen at random and will be posted to the blog by the end of the day on Sunday, October 26, 2014. Disclosure: A Kitchen Box sent me one of the Food in Jars boxes for photography purposes. No additional compensation was provided. I love my birchbox subcription! I subscribed to Sunlight dish detergent on a retail site because it is the only one I could find that wasn’t overly purfumed (gave me asthma attack). This has lemon that is light and disapates. I have a diaper subscription but I have always wanted to do something like a wine if the month. I subscribe to This Old House Magazine. We are looking for a new home … an old home … and I love all the inspiration I find in there. I’ve always been real interested in the Vegan Cuts box. I would love to see a diy/home improvement subscription. Aside from magazines and a CSA box, I once received a fruit of the month subscription. Love to win this one. I’ve never had an xmas gift turn out better for myself than when i bought my husband the Salami of the Month Club membership from Olympic Provisions. We belong to a wine club of a winery in Walla Walla, WA. And for the past two summers we’ve purchased a half share CSA membership. We get a weekly box of farm fresh produce throughout the growing season. A Kitchen Box looks very fun! Thanks for the opportunity! I have subscribed to handmade sampler boxes (The Little Black Box, no longer in business) in the past, as well as a variety of magazines…currently subscribed to just Better Homes & Gardens, though. I love sampler boxes, and would love to subscribe to A Kitchen Box (this one is new to me, and I will definitely be investigating it further). Thanks! I wish I could subscribe and just get the New York Times magazine. I always wanted one of those bulb of the month clubs. I receive probiotics by autoship and subscribe to Cuisine at Home.. I wish we still had good old-fashioned milk delivery! A glass jar of cream top milk delivered to my doorstep is pretty much my dream. I wish I could subscribe to a canning magazine- perfect monthly recipes that were completely unique! We receive a monthly subscription to KiwiCrate for my little one… he loves it! I subscribed to the Goodies Company gourmet food boxes for a few months. It was finally a foodie subscription that I could afford. I cancelled it after they tried to pass of unpopped popcorn kernels as gourmet food. Then the company shut down. I’d love to try this box subscription, though. It looks amazing. We have milk delivery and a CSA but I would love one of the many awesome yarn subscriptions out there. I have a subscription to gluten free oatmeal from Amazon. I LOVE it. I never run out and I can’t find it locally. Currently just Saveur magazine…Cinnamon Lover’s Club, with Cinnamon Hill..would love to subscribe to Salt Springs Island Coffee (in British Columbia) and “Your Chickens” mag from UK….maybe a fruit subscription from Rising C Ranches in CA (Seville oranges and Meyer lemons!!!) Thanks for the giveaway, the box looks lovely! I subscribe to naturebox, magazines and soon to be a local dairy delivery! Outside of magazine subscriptions, I have never had a subscription. This one sounds really unique! I guess it’s becoming less and less popular, but I still get movies in the mail from Netflix. It’s the only good mail I get! I am frequently subscribed to Audible, which has added some great reads to my library. I had Birchbox and Netflix at different times, and I would love a subscription to Cooks Illustrated. A friend has a subscription to Birchbox and has shown me some of the cool stuff she has received- that would be an interesting one. I currently have a CSA subscription and a National Geographic for kids magazine subscription. I love all the interesting facts I’ve learned over the course of my 2yr subscription, and the fun conversations it has prompted with my kids. I currently do not subscribe to anything, I think this sounds like a fun way to start ! I’m trying out StitchFix right now, a subscription box for clothes. I also subscribe to air fresheners and Burt’s Bees lip balm from Amazon- it’s so nice to have reliably moistiurized lips now that winter is coming! I had a subscription to a fabric club………..until my addiction got overwhelming and I needed a new room – then I donated all to a charity that does quilts for sick children. Room and marriage saved! We loved our CSA. Such variety and exposure to different veggies. 🙂 Now we have a home garden. Wine. I could use a subscription for wine. We adore our CSA and magazines, but I am thinking it is time to expand our horizons! I subscribe to a weekly CSA of locally grown vegetables, herbs and flowers and a monthly foodie box from Hamptons Lane and I love them both. They are an incredible way to experience new and delicious items I may not have chosen myself. Love, love, love the surprise each time around! I totally love my subscription to Country Woman and I can hardly wait to read it from cover to cover. I am intrigued by this subscription. Would love to try it! Life is so much easier since I’ve started subscribing through Amazon to paper towels and Clorox Wipes. It’s just plain nice to know that they will be there when I need them. I subscribe to too many to count! With three dogs in our home, we have a subscription to Bark Box which supplies us with assorted dog treats. I would be desolate without my weekly CSA bounty. I would love a subscription to New Yorker magazine but it is too expensive for my pockets. I’d love a subscription to Cook’s illustrated! The only thing I subscribe to now is Netflix. I do a CSA, and I have a wine club subscription, this looks very interesting! Besides a bunch of cooking magazines, my husband and I joined a couple of wine clubs in CA. I love my seasonal CSAs I belong to – I belong to a traditional spring through fall CSA and just signed up for a Winter Greens CSA that starts this week. I used to subscribe to Graze box, but recently ended my subscription because the snacks lost their luster. This box subscription on the other hand sounds excellent! Other than the usual magazine subscriptions I receive my razors in the mail every two months from amazon. I have a problem finding them locally and this keeps me from running to every store in town to find them! This subscription looks great, may have to look into it. How cool! Will need to check it out! I subscribe to good ol’ National Geographic. and a CSF (community supported fisheries) which requires I learn how to clean a new fish every few weeks; I’m getting good!! i only have magazines- but would love a clothing subscription box! I would love to have a fruit of the month subscription or wine of the month. i love my julep subscription! I have a graze subscription but would love to try plated. I have no subscriptions currently. I used to get my magnesium through an Amazon subscription. I want to subscribe to a particular cake decorating magazine, but it’s too expensive. I really wish we had a CSA that delivered. Living without a car makes it prohibitive for me to participate as the pick up locations are all too far away. Any chance you live in the Mid Atlantic? I wish I had a toilet paper subscription! I used to subscribe to a lot of magazines. Now I only get Smithsonian magazine. Most of my others have gone digial, and for some reason that takes some of the love out of it for me. I had a subscription to a wine club that sent 1 white wine a 1 red wine every month. I’m going to look into the Kitchen box subscription. It looks like something I would love. I would subscribe to a fresh meat and accompanying recipe each Friday. I subscribe to several fiber arts magazines, thinking of going digital, but… I like the feel of the magazine. I have had subscriptions to various food products, but didn’t end up using as many as they sent. My family is subscribed to Family Fun magazine. My husband has a subscription to Family Handyman magazine. If I could subscribe to any subscription service, I would subscribe to Omaha Steaks. We subscribed to a whole diet share CSA this year. We love it! If I could find a reasonably priced subscription service for cleaning supplies to get excited about I would be happy. I have a subscription for decaf coffee beans. Unfortunately, I cannot fine tune the delivery, so sometimes I have too many. But I do drink a lot of decaf coffee. I recently started a subscription to “graze” — a healthy snack auto delivery. I used to subscribe to Cheese Lovers International. Every three months l got a box of cheese. Loved it! I wish there was a canning jars club. Delivery of 1 case a week the first year and alternate a case and lids the second year. I swear I spend more time running to the store for more jars! I would like a subscription to a monthly chocolate delivery of some kind. I can’t justify the cost, but it would probably be amazing. Magazines – usually related to gardening. We have a weekly subscription to door to door organics. Love it! We’ve did nature box for a while. They were good and interesting but we stopped for a while. I used to have 26 different subscriptions to amazon for various things, toilet paper being one. It was great to never run out. The one thing I wish would come back is daily milk delivery. Right now I have to be satisfied with door to door. I would love to subscribe to a recipe club! I’m always on the look out for tasty and healthy meal options for my family. National Geographic! I love that mag. My grandmother used to have a subscription and I used to love looking at them. But I would never be able to throw them away and no one has storage for that! I have subscriptions to various magazines like Mother. Earth. News,,but having a monthly subscription to different jars and containers would be really awesome. I have a subscription through Amazon too! I get cat food every month which has been a god send! I really want to sign up for a Cotton Booty box to get cloth diapers for my baby!!! Diapers and a craft kit for the kiddos! I would like to subscribe to a fruit of the month club, or subscribe my husband to a wine of the month club. I have a subscription to Cooking Light. I still enjoy reading a magazine rather than everything online. I have a subscription to a gardening magazine. Subscriptions really appeal to my set-it-and-forget-it mentality! Having a little one……I have subscribed to diapers and formula. Now I subscribe to books for her. For myself I would love to subscribe to a wine a month club!! My husband wants to subscribe for bacon of the month. Evidently our fruit of the month subscription isn’t enough! Pretty boring, I have had a subscription to Southern Living magazine for over 30 years. The toilet paper subscription sounds like a good idea. I have a subscription to “graze” for healthy snacks! Before I retired I had a subscription to a Science Project monthly for my students. We would do the experiment each month. They loved it. Now I have the same subscription for my grandchildren, and they too are loving it. I’d like to subscribe to a spice box. It’d be a great way to discover new spices or herbs and how to cook with them. I would love to have a subscription to “Taproot” magazine! I subscribe to cat food and litter via Chewy.com. I would love to subscribe to OliveBox or any of the other craft/stationery-themed monthly subscription boxes. I also just got a subscription to Martha Stewart Living for the first time in my life…at 35 years old. A cleaning service! Imagine how much more time I would have to play in the kitchen then!! I subscribe to Bookbub. Love the books! I have subscribed to coffee through Amazon and found it very pleasing to get a box before I ran out. I used to have a Bon Appetite and loved it – so much inspiration! I tried a snack subscription once, but it was not nearly enough to have four snacks for a month for our family, especially for the price. I do love subscribe type shopping as it is for items I want at prices I want! When my husband and I first moved to New York City, we got a subscription to The New York Times. We loved it, but it got too costly each week and we found we weren’t always reading it, so we stopped. Sometimes we think about getting just the Sunday paper again. I would love to subscribe to a kitchen box! I am also subscribed to Southern Living, but am disappointed by that in recent months, so need to find a new magazine to get. Thanks for the chance to win! I’m increasingly disappointed to with my subscriptions to Martha Stewart Living… they were much better a decade (or more) ago. I would love to subscribe to a service that delivered fresh bread on Saturday mornings to make amazing toast. I am a magazine junky and subscribe to more than I can keep up with. I’d love a knitters box to arrive every month with a little project. Oh – and kitchen box sounds pretty great. I’m going to check them out now! Fruit, my aunt gave me a years subscription to fruit. I think now that I better understand preservation I’d have appreciated it much more and much longer….way too many pears. Other subscriptions, wine, books, vitamins. Retired now and rediscovered shopping. What a fun idea! I am a knitter and would love to subscribe to a sock yarn club. But I love this idea of the jars and recipe. Thanks! I receive a couple of magazines each month and our local weekly newspaper. Recently, we started getting 5 gallon water jugs for a cooler in hubby’s home business. The kitchen box sounds fun! We subscribe to two newspapers and several magazines. Several years ago I gave my parents a “fruit of the month” as an anniversary gift and they really loved it. A LONG time ago I subscribed to a monthly make up box–anyone else remember Cosmetique in the 1970s?? Have several subscriptions through Amazon-tissues, laundry soap, spray cleaner and love them!! I wish I could subscribe to homemade organic monthly dog treats for my 3 labs….they would LOVE that!!! Food Network and Allrecipes magazines. Guideposts is an awesome little mag too. I wish milk was still delivered door-to-door. It’s not in the budget now, but I would love to get a subscription to Field Notes notebooks for myself and as gifts. I have a subscription to Birchbox. I’ve had it for almost 2 years now I think and I keep thinking I should cancel it, but it’s so fun to get beauty samples every month and it’s only $10. I’m really into the subscription box thing! I have a subscription for gluten free cereal through Amazon. GF cereal is crazy expensive and this saves me lots of money. I subscribe to Seed Savers and Organic Gardening to help me grow the best vegetables I possibly can for myself and my family. In a perfect world, I would have monthly subscriptions to yarn and whiskey. In the world I ACTUALLY live, a subscription to toilet paper doesn’t seem like such a bad idea! I have magazine subscriptions, but I think that’s it. I currently only have *one* subscription going — a sock yarn at the end of each month from The Painted Tiger. No magazines, no products, just one scrumptious yarn, every month. I may give A Kitchen Box a try, though…sounds like fun! I subscribed to a company called Vegan Cuts for a while but the boxes started getting more “chips and snack-y” for my liking so I’m looking for a new box to subscribe to. I’ll have to check out A Kitchen Box! We have magazine subscription and Amazon subscriptions. One is even to toilet paper! I have two cooking magazine subscriptions as well as a subscription for razor blades (which is awesome and so much cheaper than buying refills at the store!). Just purchased a subscription to American Girls magazine for my daughters’ Christmas gift. We subscribe to cat food from Amazon, and to door to door organics produce boxes. I would call my CSA (community supported agriculture) box a subscription! I get a new box of freshly harvested veggies sent to me every two weeks from a local farm. We subscribe to a CSA and Discover magazine. Would love a fun chocolate delivery every month! I would LOVE a subscription like this! I would also love a wine of the month club subscription. Or flowers. Or fruit. We have subscriptions to magazines but the more essential one was to Amazon for coffee! Never run out. I never compared the price for toilet paper, I’ll check it out! I’ve recently started subscribing to a Earth-friendly, non-toxic make-up oriented company. So far, lots of fun nail polish! I have subscribed to an organic CSA, but would love a wine, cheese, or kitchen box subscription!! I’d like a CSA subscription. I would love to be able to subscribe to one of these foodie boxes. But alas! Too expensive for me. Ha – never really had a subscription to anything. I think new foods/snacks would be a fun one! I would look forward to mail. I’ve only subscribed to magazines, which I love dearly. The New Yorker will always be my fav. I love to have magazine subscriptions, since I am pretty much guaranteed quick reading material in my home at all times. I’ve seen the rise of subscription boxes and have looked into some of them but haven’t actually tried any of them. It’s been a while but I really enjoyed my subscription to Reader’s Digest when I got it! I subscribe to a wine club from a local winery. Every quarter I get 3 wines from their current in season stash. They have a pickup party every quarter for the people who subscribe to go and pick up your wines with cheese and fruit and wine tastings of all their wines. It’s incredible and I love it! I never thought I would need it but Dollar Shave Club is a subscription based service for razors! I never run out, I’m never using dull blades… and honestly, I’ve even gifted subscriptions to a few people (girls included!) who love it! Aside from magazines I haven’t tried any other subscriptions. This looks like a fun one though! I subscribe to Nature Box and a local wine club. I love getting healthful snacks every month that I can chose and quarterly wine selection from the vineyard. More cooking and home decor magazines than I count. At least 200 blogs. Two quarterly wine subscriptions — Southern Hemisphere for great finds from below the equator and Touring & Tasting for just about everywhere else! I can’t think of any subscriptions I currently have. I wish I had a cheese and/or chocolate of the month subscription, or something cooking-related. I love trying new foods. I subscribe to Fine Cooking and Mother Earth News. Formerly part of CSA but my own garden took over for that. Would love to have a themmed subscription to foodie items. Cooking Light magazine and it’s the best thing ever!! I subscribed to suburban organics (I think it’s called something else now) and it was awesome–like a csa that arrives in the mail. only stopped because i had trouble with the delivery guy getting through my work security. We subscribe to a CSA box every couple of weeks. (From the Farmer) And an ever decreasing selection of magazines, ‘Organic Gardening’, ‘Urban Farm’, etc. And we have an every 8 weeks subscription to The Honest Company for an assortment of household supplies. We recently moved from the West Coast to the East Coast and it seems subscriptions are the only way to find the things that we love or need here. I subscribe to a clean eating menu plan. This giveaway would be a wonderful spark to keep me going on the plan! We have a CSA subscription! I have a subscription for beauty products I use so I don’t run out. It’s nice not to have to worry about remembering to order. Every year I plan to join a CSA and then I never get around to it, so that’s for sure on the list. I think a really neat idea, though I have no idea whether it exists, would be a spice club that includes a new spice or seasoning every month along with recipe suggestions. My only subscription is to Pandora – and endless supply of all types of music. CSA, Public radio, and your blog! I mostly just subscribe to magazines…. but Amazon will get their hooks in me yet for all of the pantry staple stuff! I consider my various CSA memberships to be subscriptions and that’s how I explain it to people unfamiliar with the concept– though gladly, more and more people know what this is! Meat, fish, vegetables, fruit, grain, dairy. I get most of my food through these groups now and it’s fantastic. It’s a great feeling of connection and the quality is high. CSAs of meat and veggies! The fresh produce boxes sound great!!!! I would love to find something “reasonable” to send to the grandchildren every couple months. I am only subscribing to magazines right now. I wish I could subscribe to a year-round csa that was about 1/4 or 1/6 of a regular share size so I could make good use of every vegetable every week! My CSA subscription is delivered each Friday morning. An added pleasure is that I can change the items in my box to meet the needs of a new recipe. That and a few magazines is what I get on a regular basis. I’m gonna jump on the CSA bandwagon. I love my “subscription” and makes my life so much more delicious, nutritious, and overall convenient! I have too many hills and valleys in my usage needs to make subscription profitable to me! I subscribe to JustFab because it gets me super cheap shoes and clothes, though I’m also subscribed to cat food through Amazon, haha. This seems way more fun than that, though. I have a boring magazine subscription at the moment. Oh I also belong to a weekly CSA, but to never run out of toilet paper…. I subscribe to a cooking magazine and look forward to receiving every two months. Would love to have a CSA box! I subscribe to some magazines & my husband subscribes to a regular delivery of PG Tips tea. I wish I had a subscription for the kind of dog food I use. I need fifty pounds every two weeks- how great would it be to have it delivered right to my door! I would be thrilled to find a gluten free subscription basket.. I subscribe to a wine delivery service. It’s a fun way to try new wines that I don’t think I would try otherwise. Some I have loved. Some I have not loved. But, it’s been fun! Plus, we always have a bottle or two on hand when we get invited to someone’s home for dinner so we always have something to bring the host/hostess. would love to subscribe to NATUREBOX but haven’t gotten around to it yet! I am currently saving up to get a subscription to Stitch Fix. I also can’t wait until next wedding season to use “Rent the Runway”!! But I’m loving the foodie-centric boxes! I had never heard of this! My husband gave me a birthday present of a year subscription for a monthly artistic letter from Paris. It touches my heart every time I get one. I once had a subscription for loose leaf tea. I subscribed to Birchbox for a while – it was a very fun way to try new beauty products (and came with a box handy for gifts and storage!). I subscribe to Stitch Fix, clothes picked for me by a stylist. Through Amazon I subscribe to sugar cubes for my coffee. I also subscribe to magazines that I get through Zinio on my iPad. I have a subscription to Runners World magazine, something I love to read every month! I subscribe to Sunset Magazine and both a digital magazine for quilting (like I need more quilting inspirations!) and knitting. I subscribe to 2 things I love. Graze.com sends me a box of 4 portioned, healthy snacks (dried fruit, seeds, whole grains, etc). I get it delivered to work. I also love Gwinniebee.com, it’s like Netflix for clothes, size 10-32. I have a graze subscription that I love. I’d really love a subscription to chocolate chip cookies since I am a self – proclaimed cookie monster! Ha! I have an oat subscription on amazon. I subscribe to King Arthur Flour’s “baking sheet” newsletter- Love it! Tea. I usually buy what i like in large quantities but that means I don’t often try anything new. A crochet subscription would be nice but then I’d have to find a home for everything I made. We used to have a toilet paper subscription, too! We weren’t very good at figuring out the right schedule, so we stopped it when we have two whole cases in the attic. But now we have an amazon subscription for dog food. The rate of consumption on that is much easier to calculated. It’s so nice to no longer have to make emergency runs at meals times. I wish I had a subscription to a monthly craft item. I could make one craft object a month that would satisfy and inspire my creativity but not boggle me down since I would have a month to complete it! I subscribe to food and wine magazine. Then take the recipes and try to put my spin on them. I subscribe (for my lactose intolerant husband) to Digestive Advantage from Amazon. Every three months the shipment shows up in my mailbox. No more scrambling to find it locally, which is almost impossible. I don’t have any subscriptions but I think coffee would be fun! Subscribing to King Arthur’s baking newsletter would be sweet! More affordable organic produce boxes would be nice. I’m intrigued by subscriptions these days.. I recently signed up for Stitch Fix, which sends 5 clothing items a month – I’ve gotten 4 boxes so far and loved them all. I’m also a knitter and have a monthly subscription for a ‘skein of the month’ club from a cashmere club. So the idea of a kitchen subscription is very appealing…. mainly magazines, have had a coffee subscription at one time. The only thing I currently subscribe to are a few magazines, but I would love to subscribe to one of those monthly wardrobe sites where they send you fun new clothing and jewelry to try every few months. I subscribe to Nature Box (https://naturebox.com/about-us). They send you a box of snacks every month. You can pick them out or the company will send you a surprise box. I like them because they donate food for every box you order and they have great tasting, more natural snacks. It is way better for me than the vending machine and since I have limited time to make things at home, it is a life saver. I used to have a subscription to the conscious box, health ecco stuff. It was lika a little present each month!! National Geographic, since I left grad school! Love it! I wish I could subscribe to a wine club of some sort – an easy way to check out new wines. OR, there’s a Bark Box for dogs that looks fantastic! I love the idea of subscriptions–getting a surprise in the mail every month–but I never seem to get around to signing up for one. Maybe the kitchen box will be the exception! Just got a snack food subscription! I’m excited to try different healthier snack foods and to get fun mail each month! Similar to your TP, we have dogfood on auto-send from Amazon. Best invention ever! I subscribe to Tea Time magazine. Love all the scone recipes- savory and sweet with jams to pair and tea suggestions for each. I have an Amazon subscription for everything from toilet paper to toothpaste! It’s amazing! For Christmas, I plan to get my husband a salami of the month subscription. I have a CSA subscription for vegetables and fruit. 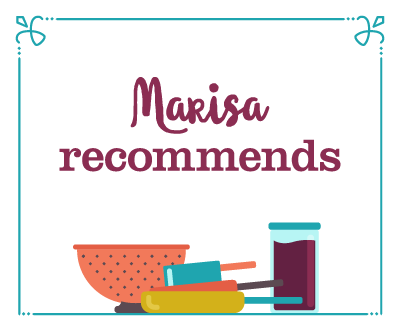 The small batch plum jam recipe of Marissa’s saved my plums this summer! I can’t wait to eat the resulting jam! I have numerous magazine subscriptions, but I would LOVE to have some kind of CSA or fruit subscription – where tons of seasonal fruits and veg show up at my door waiting to be canned. For a season, we had a CSA subscription – it was so fun to see what fresh produce we would get in each box! I subscribe to magazines, as I am a magazine junkie. HGTV Magazine, O magazine, Readers Digest, Mother Earth News, More…you name it. I do a CSA, but one of the ones with stylish clothing picked out for you would be fun. Loving reading these comments. So many things I never knew you could subscribe to! I would love a hand bag subscription or a birch box subscription. For now it is Portland Monthly Magazine and Better Homes and Gardens. This post is making me realize I need to subscribe to more things 🙂 I love the idea of a recipe-inspired subscription service! I’m part of a flower CSA, which is lovely. i think i would benefit greatly from a “seasonally appropriate footwear” subscription. i really should subscribe to a coffe club. It’s a dangerous morning when we notice we’ve run out! Last year I subscribed to a snack box which was delivered bi-weekly to work and was a nice way to get new treats. If I could afford it, I would love to subscribe to Treatsies for a monthly candy/dessert delivery. Wow! that is the cutest box subscription I’ve ever seen! In my time I have subscribed to a coffee club (i don’t drink coffee, but it came with an awesome drip maker), a specialty food subscription, a book subscription for my girls when they were younger. And admit it, who hasn’t had a Martha Stewart Living magazine subscription?! This is very appealing to me. I’ve been wanting to subscribe to a local organic fruit n veggie box, I might jus do it. Thank you for all the inspiration. I subscribe to a bi-monthly shipment of random candy from Japan! They have so much interesting stuff that doesn’t exist anywhere else in the world, and while I could buy it online on my own, I wouldn’t know what to choose. I love the surprise component. I don’t currently have any subscriptions, but I think a seasonal seed subscription would be fun to add variety to the garden. Besides magazines, I have a monthly subscription for tea (teasparrow.com), and I’ve even given gift subscriptions to various people. would love a subscription for TP! And paper towels. I belong to a wine club and get Wired magazine and Bon Appetit. Well, my subscription isn’t food related. I subscribe to two daily newspapers. I think the last thing I subscribed to was carfax when I was looking for a car. I let my csa box go because they were more concerned about their beer and wine making than they were with the produce that they were sourcing for the box, one gets tired of receiving rotten tomatoes and lemons. A Kitchen box subscription sounds wonderful! I currently subscribe to several cooking mags and have a standing Amazon order for Weleda Skin Food- best dry skin cream ever! 1) My local CSA: Every other Friday I pick up a gorgeous bundle of fresh, locally-grown fruits and vegetables, enough to last me two weeks. 2) My monthly hair color: have you tried eSalon.com ? They custom mix your color and ship it to you according to your requested frequency. Waaaaay better than the drugstore stuff!! 3) Dog Food: Through Amazon I subscribe to monthly delivery of my dog’s great big 30-pound sacks of dog food. Having the UPS guy drop it in my foyer sure beats driving to the store, lifting it off the shelf and into a basket, then up out of the basket onto the checkout counter, then BACK INTO the basket, then lift it from the basket into my car, drive home and (final heavy lift! ),drag it into the house!! Yep, I love scheduled subscription services!! Love my Amazon Prime membership for everything and also my son’s diaper subscription at the Honest Company that are delivered right to my door. We belong to two wine clubs… I would love a subscription to a coffee club….try out new blends, varieties of beans! Need to look into it! Like most people, I subscribe to magazines (waaaaaay to many) and newspapers. I do have a subscription to Consumer Reports and that has save us may times. My favorite subscription is to Amazon Prime. I use the music to get me through the work day and what canning maven doesn’t love getting jars shipped free only to receive them in two days?! I had a wine club membership and that was fabulous! It was like Christmas when the fedex guy showed up. I also subscribe to Martha Stewart living and cooks illustrated magazines. Pick me! I have been loving my Graze subscription, delivered at work, since I am an inveterate snacker. I subscribe to really fancy men’s razors. They cost a whole heck of lot less than the women’s ones in the store. I wish I could subscribe to Ibuprofen. It’s something that we use regularly and never seem to have when the big headache hits. I would love to subscribe to all those wonderful food magazines but it will just be a waste as I do not have the time to read them all. I was given a subscription to Real Simple and Food and Wine magazines. I love them both! Reading the comments are giving me so many good ideas, like pet food. I would love a flower CSA. I have tried both birchbox and ipsy. A kitchen box?? Now, that sounds amazing! I would love a subscription service for toothbrushes and toothpaste, so I never have to remember to buy them regularly! I subscribe to cat food on Amazon, and you’re right – it’s a great way to never run out! Love the Kitchen Box idea, thanks for sharing it with us. I subscribe to a CSA and magazines… I’ve thought about Vegan Snack box though. I subscribe to Mother Earth News for gardening, canning, recipes and animal information. Does Netflix count? I also subscribe to magazines. What a great giveaway! I used to subscribe to Quilty Box which had a new project and supplies each month. Unfortunately they no longer are doing it. I subscribe to a magazine called Backwoods Home. I would love a book subscription – one that knew how long it would take you to finish each book, and just what you’d be in the mood for next! I have a nail polish subscription. I have too much nail polish! But it’s still cheaper than weekly or even monthly pedicures. And I can decline a box anytime. I subscribe to a Pet Box each month for my cat. I also have a subscription to Yoga Journal. 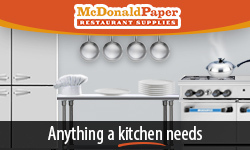 I would love to check out a Kitchen Box. The products are amazing. Thank you for the opportunity to win!!! i subscribe to bon appetit! I subscribe to the American Bee Journal; I wish I could subscribe to Harry & David’s fruit baskets! the only subscription we have right now is for overnight diapers. BORRRRRING! I have a CSA subscription and totally love it! We get a plentiful amount of veggies and I freeze what we won’t eat up in time. i subscribe to both a Community Supported Fishery and a meat CSA. Both are so great! Also way too many magazines, of course! I subscribe to Martha Stewart Living magazine. That’s it! I’ve been thinking about getting the “bean club” subscription from Rancho Gordo beans. Yum! Plus my toddler loves beans. Barkbox, for my dog, brings him much joy every month when it comes! I subscribe to so many magazines! But I would love a cheese of the month (like Zingerman’s) or gourmet food of the month subscription. We have 2 wine club subscriptions. With 2 little ones in the house, we don’t get out wine tasting very much and this brings the wine to us! I do a “wintertime CSA” of local fruits and veggies that someone else froze at their peak of ripeness. It’s a little bit of sunshine each month during the long winter. I subscribe to Audible.com–I get two credits a month for audio books (most books are 1 credit). This is great so I can read while I cook, clean, knit, sew, etc! Love it!! I subscribe to a CSA box that gets delivered to our door each week. I love that I can swap item! I subscribe to the Oprah magazine and the local newspaper. I love the idea of subscriptions. Who wouldn’t want to see a lovely box each month with all kinds of goodies inside? Your kitchen box caught my eye! I’m in love with the jars and their lids! I have a subscription for dog food so my dogs never have to go hungry because I’m a ditz. 🙂 I also have an Amazon subscribe & save for toilet paper, which is very helpful! We subscribe for a favorite breakfast cereal that is rarely stocked locally, those great Corazonas oatmeal cookies with plant sterols, better price on cats’ Breeze litterbox supplies, and TP – so nice not to lug it around! Boringly enough, I only subscribe to magazines. But I have been intrigued by a number of possibilities. Block a month quilt kits. I think of all of them the quilt block a month would be the one I would most likely subscribe to. I just got my vintage French copper jam pan yesterday and I’m itching to use it. So a food in jars subscription from the kitchen box is sounding pretty good to me right now. I subscribe to Crave. Healthy snacks arrive once a month and my boys look forward to it each time. Deep in our teen/pre-teen fussing and fighting years, they put all else aside to decide which ones they’ll eat first and then they actually SHARE!!! I could kiss the CraveCrew for that part alone! I would love to subscribe to Stitch Fix somewhat more consistently. I’ve ordered a couple boxes for fun, but the clothes are a bit expensive so I’ve held off on really committing. Have just relocated clear across the country so have put my Amazon subscriptions on hold for the time being. Daughter just learning to can, so this sounds like a super idea for her birthday or Christmas gift! Way back I was a member of the book of the month club. I would like to get a sock yarn subscription, but I know myself well enough to know I’d never knit fast enough. Therefore, I just subscribe to the knitting mags instead. I have signed up for CSA boxes every summer for several years. I get great fresh produce that lasts forever in my refrigerator. I am subscribed to Consumer Reports magazine and have been for the last 25 years or so. I also use Consumer Reports on-line. When we lived in the midwest someone gave us a subscription to a fruit of the month club. It was amazing to get such luscious, juicy fruit in the middle of a frigid winter. A kitchen box sounds like so much fun! I love my Amazon Prime subscription! The two day shipping is incredible when I come back with my haul of fruits and veggies and realize I’m low on jars. A quick order and they’re neatly packaged at my doorstep within 2 days, usually sooner! Currently I subscribe to Ipsy. Every month you receive 5 different makeup products and a makeup bag. Its like Christmas whenever the package comes in the mail. I’m always excited to see what was sent. I love the idea of subscription boxes. You can try different things that you normally would never get a chance to try without spending a fortune. Your giveaway to A Kitchen Box is exciting. What a great idea to try something new. I’d love to subscript to a cool gardening club. Love your site. I subscribe to magazines….I’d love to subscribe to this kind of cooking related box. It sounds amazing. I currently subscribe to magazines (though not as many as in past years); I wish I had an Amazon Prime subscription. I’ve signed up for a CSA. I wish I could subscribe to a yarn/pattern club in Germany. It’s all lovely! I have a subscription for vitamins and replacement cutting blades for my Silhouette, as well as a monthly rubber stamping kit. I also had a subscription for stationery supplies from around the world (it was a birthday gift). I love dishtowels, and would love a dishtowel of the month subscription… lovely silkscreened linen dishtowels… happiness! This seems like it’s pretty close! I would love to have the fruit of the month service from Harry and David – I guess I should suggest it to my husband as a gift for me!!! I used to get TAB from Amazon!! Till local super markets heard the cry & now stock TAB again! I absolutely adore sub boxes! I have a tea box (teasparrow.com) which sends four sample a month. I used two of them to make an adaptaton of your peach oolong jelly, and they turned out absolutely delicious! I’ve tried several of these subscription boxes lately! They’re addicting! The one that has stuck around is Love with Food. It’s a fun box full of new snacks that I like to be able to try. This box looks awesome! I’m off to check it out now! I have subscribed to monthly crafts before, but this sounds so much more fun! I subscribe to a few cooking magazines. Would love a monthly canning magazine. Gotta be Bacon Of The Month Club!! I had a subscription to Organics 2 You, and loved my every other week box of vegetables and fruit. I used to love to subscribe to magazines. They were very inexpensive but I felt bad about the pile up of paper in the recycling bin. Reducing, I subscribe now to all kinds of online sites and blogs! I have a snack subscription box sent to my office every couple of weeks. It makes for anice surprise that brightens up my workday. Things I would like to subscribe to, and probably could if I wanted; craft beers, hot sauces. I subscribe to a quilting magazine. Checking out a CSA ! CSA subscriptions are the best, earthy surprises! I also love the earlier poster’s comment about having a snack box sent to her office to brighten her work day. Who couldn’t use that? I subscribe to Runner’s World Magazine. I want a subscription to Blue Apron, the service that NPR advertises that sends ingredients to prepare a healthy, gourmet meal all contained in a box. It would be nice to win this A Kitchen Box, too! I like to give subscriptions as gifts – that way the gift lasts the whole year. Sometimes magazines, but often homemade or handpicked items. I gave my husband a different kind of cheese every month for his birthday once. My cousin subscribed me to fitness magazine and didn’t tell me. It just started showing up. Other than that, I haven’t subscribed to anything other than email lists for coupons and deals, free of course. I currently have a few magazine subscriptions. I used to subscribe to a CSA farm to table box and I would love to renew that subscription. I had a CSA subscription. Had to cancel it for a year but perhaps I will be back on another next time. I’m subscribed to Graze, a box of four healthy snacks that come about every couple weeks. My son and I fight over the boxes. Yummy nuts, fruit & nut mixes, crackers and dip, etc. Yummy! SAVEUR magazine has got be one of my favorite subscriptions. I would like to subscribe to a wine of the month club and I keep meaning to sign up for Graze. I’m going to peruse the comments to this post to get other ideas! I wish had a subscription to birch box and whimsy box, and now that I know about it, Mitchum box sounds great! I would love to subscribe to a milk delivery program system like when I was a kid. Milk was left in a cooler behind the shrubs. I have an underwear subscription from a great local company called Make it Good! It’s the best ever. All their designs are sewn and printed locally, and each month’s pattern is different and super creative. I have a subscription to Real Simple and Bon Appetit, and we are CSA members, which is sort of like a subscription to local organic food. I wish I could subscribe to Barkbox for my dog, but I really can’t justify it, he’s spoiled already and monthly box of treats and toys might be a bit much….but maybe Ill get it for him for Christmas! I am a member of a local CSA. It is a fantastic way to get fresh, local produce to inspire my cooking and canning. I used to subscribe to a snack box company. It was fun to try new things. I’m a quilter and one year, I subscribed to a fabric stash “basics” club. It was awesome to have a yummy little bundle of curated fabric show up every month! Unfortunately, the service was discontinued. I sort of wish another shop would start something similar, but my wallet is happier this way! I miss the milk subscriptions—glass bottles, fresh milk in the box on the porch—I don’t think there’s anybody that does that anymore. Wish I could afford a subscription to Cook’s Illustrated. Fresh milk on the doorstep… wouldn’t that be nice? I love Grit magazine. Chickens! I get a Wild Berry Tea by subscription and also an English Toffee Cappuccino, I get the tea once a month and the cappuccino once a month just for the fall and winter. I would have never been able to find these where I live and look forward to every delivery. I do have a subscription at Amazon for KIND bars…my Hubby and kids luv them and after shopping around I found that Amazon usually has the best price. I subscribe to Organic Gardening magazine and LOVE it! I subsrcribe to the quarterly.co Food52 box. It’s a fun surprise box. I subscribe to This Old House and Organic Gardening magazine. I wish I could have a subscription of jars delivered to my house, because I always seem to run out of pints and half pints. I subscribe to a kind of grown-up arts and crafts box called For the Makers which is super fun and lets you make your own jewelry. I’d like a monthly subscription to a fruit/produce CSA that would send me a variety of things to try canning. It would encourage me to be more adventuresome in my canning endeavors. The only subscription I have is a CSA. I love magazines. I wish I could subscribe to about 10 of them. And that I had time to read all of that every month! I just let my subscription to Real Simple end because I wasn’t finding enough time to read it and what a waste that is. I’ll just have to buy a copy from the newsstand now and then! Nothing beats a diaper subscription! I subscribe to a CSA box through a local organic farm. I will soon be subscribing to diapers, as we’re expecting our first baby next year! I once subscribed to a tea sampler but quickly got inundated and had to quit it. These days I manage to keep up with my CSA subscription; I will miss it come winter. I would really like to start subscribing to a CSA, I’ve been meaning to for years but somehow it still hasn’t happened. I wish I could subscribe to yeast. Somehow I always remember what kind of flour we are running low on, but yeast never seems to stick in my brain. Bread doesn’t do it’s thing without yeast! I would choose home delivery for milk, like I had as a kid. Milk is one item we’re constantly picking up when we’re out somewhere, plus I love the glass bottles. I subscribe to a few magazines, but would love to subscribe to seasonal produce delivery from the farmers market. I have a subscription to both EatYourBooks (a recipe organizing site = fabulous) and CreativeBug (a crafting tutorial site) and love them both. I paid for a one year subscription to Bicycling magazine roughly 6 years ago. I still get a monthly edition mailed to my home. I subscribe to my favorite magazine, Country Living. And each year, my husband and I subscribe to a wonderful local CSA – can’t wait for more vegetables next year! I subscribe to way toooo many magazines! I would love to get a subscription to the Mitten Crate, its a box of products from my home state of Michigan & to a CSA. Right now my subscriptions are to Martha Stewart & Smithsonian magazines. An arts and crafts box for my daughters, and coffee! Both were fantastic! But this is even better! I can’t wait to try it! I’m subscribed to three CSAs – veggies, orchard fruits, and cheese! I would love to have a subscription to Cook’s Illustrated and Fine Cooking magazines. They’re a bit too pricey for me. I’d love a subscription for our local produce boxes. hi! i’ve just subscribed to A Kitchen Box. Super excited! I subscribe to a CSA box through a local organic farm. I would love to be able to afford to subscribe to weekly fresh produce delivery. If I thought I could cook and eat everything in time before it started to go bad, I’d probably want to subscribe to a CSA and get CSA boxes of fruits and veggies, but the reality is that I’m too short on time to do much of anything beyond really simple things these days. If I could get anything at all delivered, I’d probably ask for time… or sleep. Preferably both. I have a favorite coffee roasting company from my hometown, and while they do sell their flavored coffees online, they only sell them pre-ground, and I only like it when I grind it myself. So I end up having to stock up a few times a year when I’m back in my hometown visiting family, but I would LOVE IT if there were some way to subscribe to them sending my favorite flavors of coffee whole-bean style. Ideally through a set of pneumatic tubes, Futurama-style, that’d be activated the instant the empty mason jar was removed from the shelves, immediately replacing it with a fresh container of beans. Barring that, of course, a normal continuous mail delivery would be fine. I subscribe to Stitch Fix. It is like a personal shopper that sends you clothes however often you want and you keep or send back what you like. Oh there’s so much. Mainly though I wish I had a subscription to our local CSA. Or even a subscription to local milk/dairy (if that was possible?). We did have a subscription to a magazine, but it didn’t pan out (none of us were particular to photography). OMG! I just made that Smoked Paprika Jam tonight, using up a bounty of red pear tomatoes from my garden. 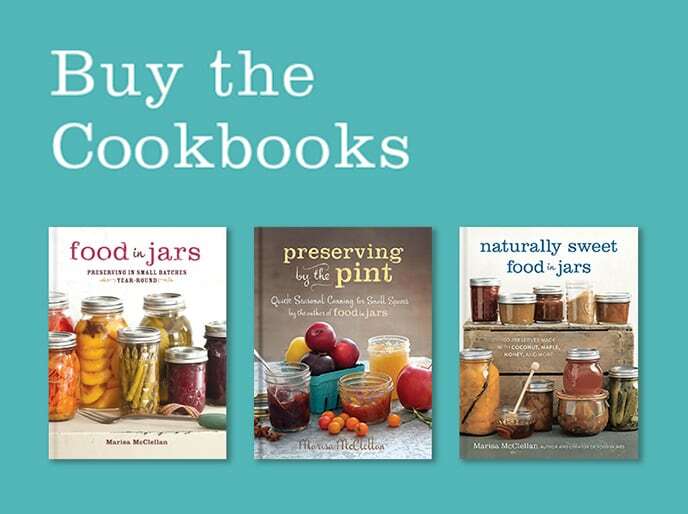 I found that recipe in your Preserving by the Pint cookbook that I just got this week. Only made four 1/4 pint jars, but looks fabulous — the red pear tomatoes give it a gorgeous ruby red color. 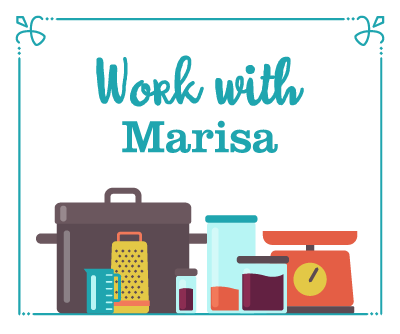 I think my dream subscription would be spices, ones that I normally can’t find at my local store — it would be fun to receive something different each month and then challenge myself to find recipes using those spices. This time of year, I wish I had a soup subscription. Imagine a new type of soup delivered each week October through March… That would be delightful. My all time favorite subscription was the beer T-shirt of the month club! DH and I love Southern cuisine, so we subscribe to The Local Palate. CSAs are pretty fantastic “subscriptions”, but I’d have to say my favorite would be a Brew of the Month/Wine of the Month subscription. I would love a CSA subscription! I had a subscription to Stitchfix- a total bummer. Love the concept of the service tho. Would like a CSA box geared for a family of 2. I have a raw milk share, and it’s wonderful because it’s actually cheaper than conventional store milk! I used to subscribe to BarkBox. I got a bit overwhelmed with all the dog toys, but loved knowing I would always have treats on hand. Baxter loved it! My husband and I were given a year long wine club subscription as a wedding gift. It was pretty awesome to get wine delivered every few months. I have a toilet paper subscription through Amazon too! Its awesome! And for paper towels and trash bags. 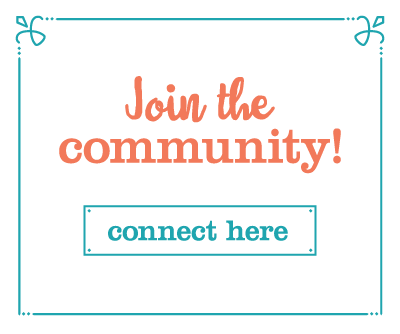 I subscribe to Birchbox, Glossybox, Fancy Food Box, and many many more!!! Love subscription boxes! I get the popsugar musthave box every month and it’s my fave! I subscribe to an olive oil collective in Italy. I love when the fresh olive oil comes! The only thing I subscribe to, besides magazines, is the brand of tea that I love which is somewhat difficult to get locally. I used to subscribe to dog biscuits via Amazon. My dog has allergies & they were grain-free & free of other allergy-causing ingredients, reasonably priced & I didn’t have to search all over creation & read every ingredient label. However, the packing wasn’t secure enough to keep a handful in the 4-box shipment from crumbling into bits! Became too much of a waste. I don’t have a subscription to anything but a couple of magazines-it sure might make my life easier! I get a graze box monthly. I stash the box in my locker at work so I have healthy, portion controlled snacks always available. I wish I had a subscription for a daily dose of motivation. I may not need it every day, but it sure would come in handy those extra-busy days when I really need a kick in the pants. Foodwise, I have a subscription to Hatchery’s Tasting Box, which has been really neat. The little samples have piled up over the summer though, since I’m mostly cooking with whatever I bring home from the farmer’s market, rather than picking a recipe and then shopping for it. I’d love to subscribe to a container of the month club or something weird like that. 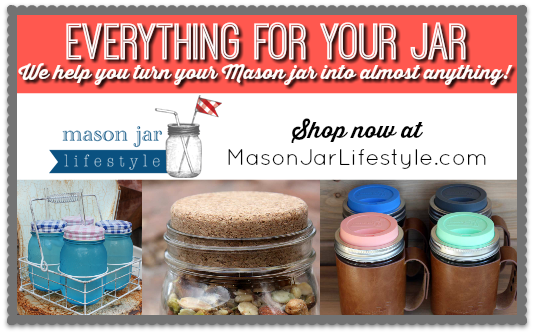 I love all kinds of containers (mason jars especially!) and there are always new and odd kinds. a family CSA and winter CSA! I wish I had a subscription to a chocolate of the month club. I’m sure they exist, but I’m way too cheap, I mean frugal, for that. I wish I had a subscription for perfectly ripened bananas. Would be awesome! I have a subscription for coconut oil and contact solution on Amazon. Random combination, but I go through both at fairly predictable rates. I subscribe to two newspapers and a couple of magazines. I was so sorry when my CSA folded, since I loved subscribing to that! We had a CSA subscription last year, but it wasn’t great. I’d like to try it again next year with a different farmer. I had an inaugural subscription to American Girl magazine — I loved it back in the day! I’ve always wanted to do a cheese of the month subscription. Yummy cheese, delivered to my door? Yes, please! A Kitchen Box sounds really cool, though, so I would be excited to win! I love getting my magazines every month. I tried to get away from it due to the waste but I just love opening the mailbox to find a shiny new magazine! I wish I had a subscription to Cooks Illustrated, love their recipes! I have an auto-delivery subscription for Honeybell tangelos. They’re delivered once every January…it’s like a box of sunshine! I usually end up making a cake with them, and juicing the rest. Hopefully this year, I’ll get one batch of marmalade done. I would love a subscription to any of these food-related services that are going now–because I’m a foodie but try to be frugal, too, I don’t get to buy many fancy gourmet things. I would love to have a subscription to one of our local CSAs! I have a CSA and a subscription to BA. I would love to try Kitchen Box! I have a summer CSA subscription. I finally subscribed to Cook’s Illustrated after reading every back issue at the library. I also saved up and joined our local CSA. I loved it…except for the kale. I really wish I had a subscription to something completely luxurious. Something that I don’t need like chocolate or beauty products or wine. Something frivilous. I have a subscription from Oyster a book reading website. I love it. I have a bi-weekly subscription to an organic produce delivery service. Very cool and the produce is beautiful. I LOVE my CSA subscription! Kale for days! I’ve tried a makeup subscription box and loved it. I like all the other options that are cropping up now. I had an album subscription in early 80’s, but this sounds like so much more fun. I once had a birch box subscription but ended up with way too many samples I never used. Food is much more fun! I subscribe to Super Green Powder. Great addition to fruit smoothies! I just subscribed to “This Old House” magazine. I love anything hands-on or DIY. But, all these box subscriptions sound really cool too. I subscribe to Lootcrate. I’d love to have a CSA subscription but I don’t know of any in my area. Kitchen box sounds like a good one, too! Thanks for the giveaway! My favorite subscription is my CSA! I once had a subscription to a weekly menu service. It was great! They sent me breakfast, lunch, dinner and snack menus complete with recipes and shopping lists. Hmmm, I subscribe to Edible Cleveland Magazine. I used to subscribe to a CSA, now we shop at the local farmer’s market weekly. I had subscribed to a really fun website and found out it was mostly for young women with small children, not grandma’s. I had a great subscription to a sci -fi book club; found out about a lot of good authors I would have never tried. I’ve had various subscriptions in the past for different vitamins. I subscribe to a monthly nail polish box. Although now that I have seen this one, I am considering canceling that and joining this subscription now that I have seen how beautiful this box is. I love my subscription to Cooking Light magazine. As a newlywed, it was how I taught myself how to cook. I love the idea of these theme box subscriptions and will be looking into them as Christmas gift ideas this year! I have a subscription for cat food o Pet Flow. It gives me an extra discount and I can change it as often as I wish…and trust me, I do. It seems like I change it every order!